Dubai, United Arab Emirates (November 27, 2018): Getting in the spirit of the Dubai 30 x 30 Fitness Challenge, Foremarke School in association with British Mums opened their gates to the local community for a lively sports morning. 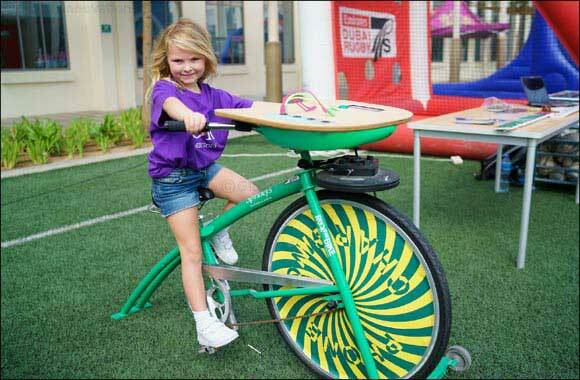 The event was held on the expansive school grounds in Al Barsha and was filled with fun activities that encouraged children and parents to get active. During the fun-filled day, children along with their parents engaged in a wide variety of games, drills and sports including football, archery, karate, gymnastics and rugby, and more, all under the guidance of the expert coaches from Gulf Star Sports and Foremarke’s PE teachers. Foremarke is a British curriculum preparatory school educating children from FS 1 to Year 8. It places a keen emphasis on physical education as well as the academic development and pastoral care of its pupils. British Mums is a community website and support group that helps British mums and mums of British children settle into life in Dubai, find new friends and it keeps families up to date with news and offers especially for likeminded members.